The 500 piece puzzle centers on an illustration by B. Winstone & Sons, featured in Colour Schemes for the Modern Home, 1933, by Derek Patmore. Patmore (1908-1972), a prominent mid-20th-century British designer, promoted color as the secret to successful interior design. This image was originally created by B. Winstone & Sons, a renowned ink manufacturer, to demonstrate their superior colored inks. The rainbow-like design is sure to present a colorful challenge for the puzzle lover in your life. 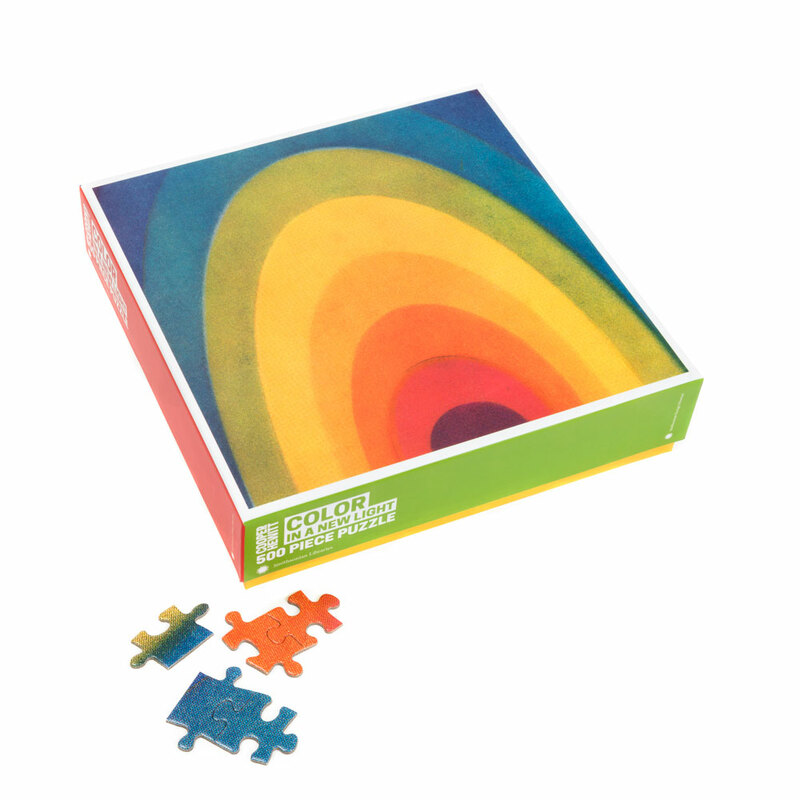 The Color in a New Light puzzle is currently available in the Cooper Hewitt gift shop online. Proceeds from the sale help support the Smithsonian Libraries. You can also explore more fantastic color-related books in our Digital Library. Next Post The Biodiversity Heritage Library celebrates 10 years!